﻿About Us: We provide Professional Stand Up Paddleboarding (SUP) Lessons, Rentals, Events, and Sales year-round in the Denver Metropolitan Area. Whether you are looking to Rent, Learn or Buy, we have you covered. Browse our website and find out more! 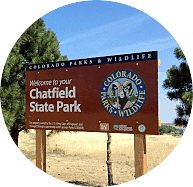 Our Rental and Lesson Locations include: Chatfield Reservoir, Barr Lake, ﻿Aurora Reservoir﻿, and Ridge Recreation Center. Colorado has a vast amount of open bodies of water that create a perfect environment to enjoy the sport of Stand Up Paddleboarding. You don't have to live near the coast in order to enjoy this incredible sport and there's no question how SUP has continually increased in popularity year over year. Whether you want to learn how to SUP in Colorado, rent a paddleboard, or purchase equipment, we create the perfect environment year-round to do so. So what are you waiting for? Come Paddleboard with us today! Summer locations include Chatfield Reservoir, Barr Lake, and Aurora Reservoir for Lessons and Rentals! Come on down and rent a board from us, take a SUP lesson, or both. Whatever you do, we are sure you will enjoy the sport of Stand Up Paddleboarding. Summer session begins 5/1/19 and runs through 10/31/19. ﻿Walk-ons and reservations accepted. Click our Book online button to reserve your spot today! Take a board to go! With the best prices for daily, multiple day, and weekly rentals, we make your trip easy. Looking to rent a board for awhile and want to take it to another lake? No problem, we have you covered. Click our Book online button to reserve your board today! ​*Private Lessons available. Please Contact to schedule.